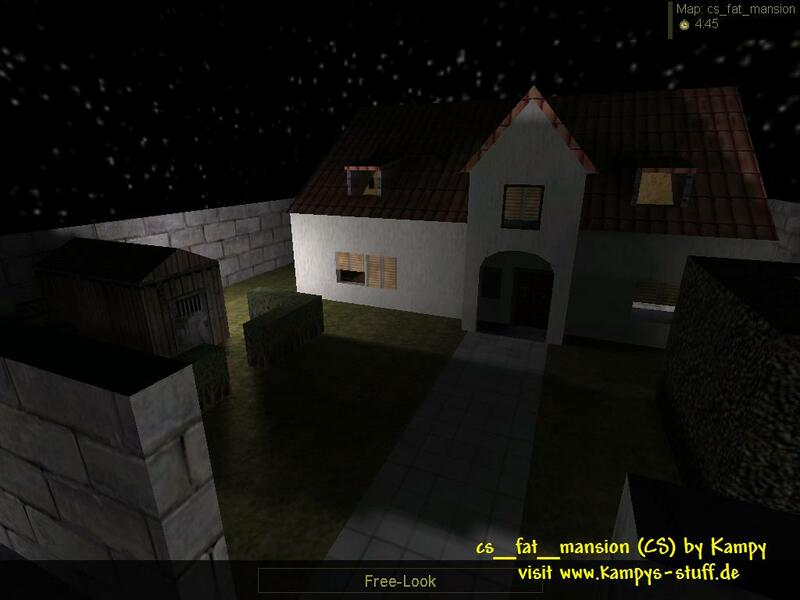 I made cs_fat_mansion, because Im a cs_mansion fan and there were so many aweful mansion clones that I had to create a "fat" one! So this is it. 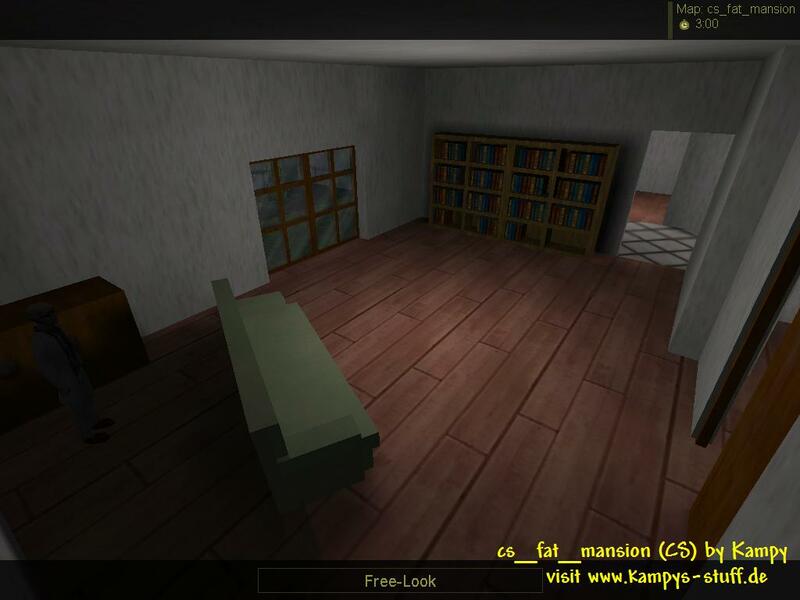 The complete area is a little smaller than the original mansion map. As a counterterrorist you start on the street behind some walls and hedges. You can walk through the typical hole in the wall, through the main opening, through the sewer tunnel or, which is new, climb the hedges and enter the mansion through a window. The garden and the mansion itself are totally changed. The garden has some small and big hedges to take cover and a garden shed which blocks the view on the hole in the wall. 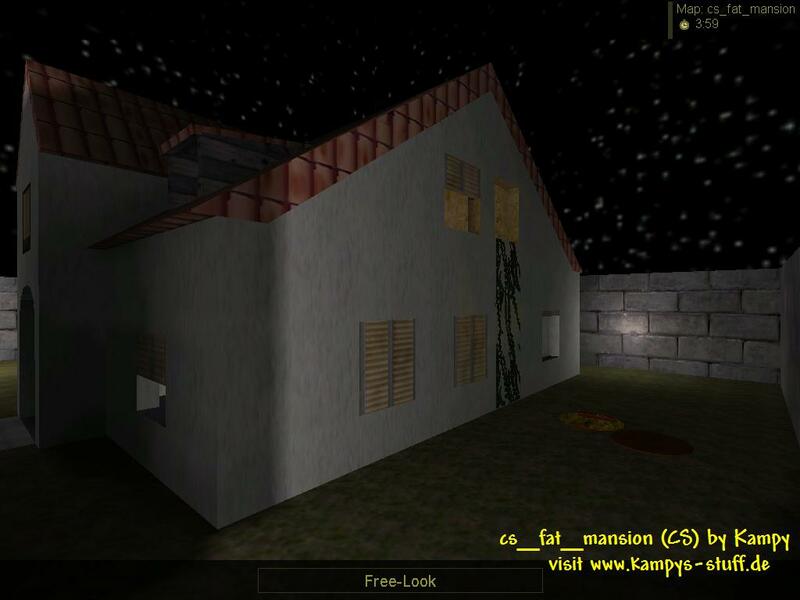 The three hostages and the terrorist are inside the mansion. You can access the house through the front and back door, through a side and back glassdoor, through a side window with a ladder-like plant growing there and through the window which you can access through the hedges.